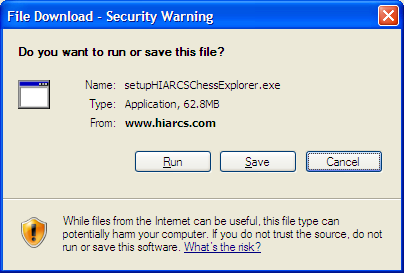 If you select Run the HIARCS Chess Explorer Installer will be downloaded and then executed. 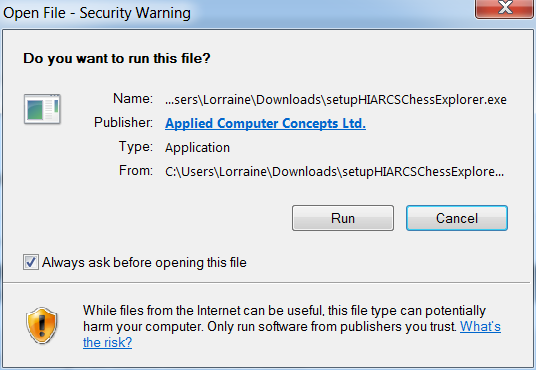 Alternatively you can save it locally to your computer and run it later. 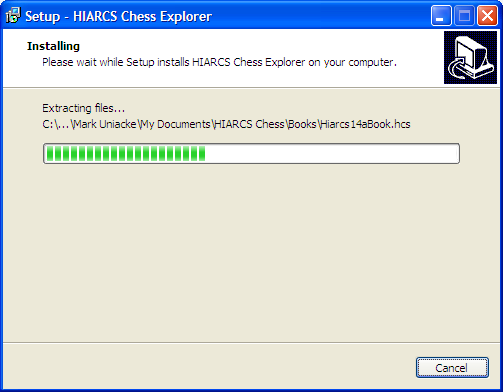 If you do save the installer instead of running it, then please make a note of where you saved it so you can run it later Simply double click the saved setupHIARCSChessExplorer file to start the installer. On Vista, Windows 7 after downloading the installer the dialog will look like this. 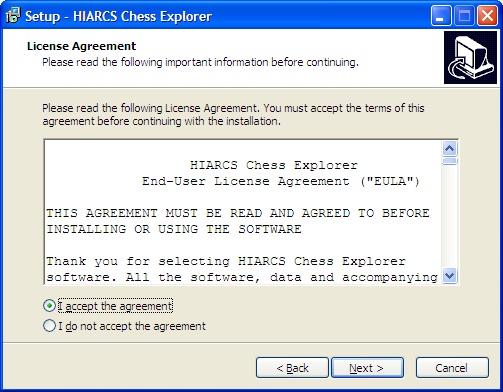 Please note the verified publisher is "Applied Computer Concepts Ltd.", do not trust the download if it is not signed by "Applied Computer Concepts Ltd."
Before you can install HIARCS Chess Explorer you will need to accept the terms of the End User License Agreement. 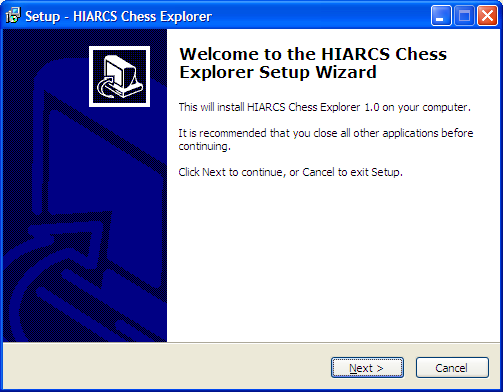 In the next dialog you will have the choice to create a desktop icon which will appear on your desktop and make launching HIARCS Chess Explorer easier. 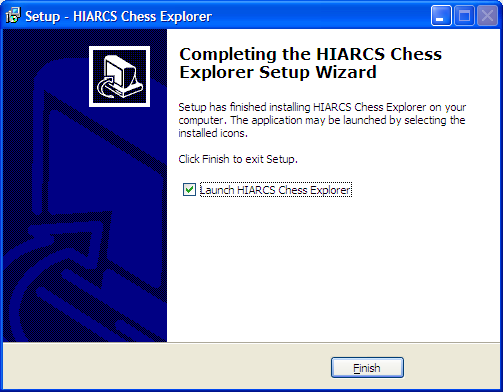 Once the installer is complete you will get the following dialog confirming successful installation and giving you the option to launch HIARCS Chess Explorer.